It is an unfortunate fact that many times there are allegations of child abuse in divorce cases. Oftentimes, any allegation of child abuse will lead to an investigation by the Florida Department of Children and Families (or DCF, for short). Investigations by DCF, as well as their subsequent findings, can play a large role in Divorce cases and time sharing. Any report made to DCF about suspected child abuse or child endangerment is anonymous. This anonymity can be a double-edged sword. On the one hand, it allows a citizen to report suspected abuse without fear of reprisals from the offending party. On the other hand, people can and often do abuse the system. People have made false reports with the hope of casting the other party in a bad light. It is principle job of the individual DCF investigator to perform a thorough investigation. They have to determine if false allegations, or if there is a real and present danger to the child. If DCF makes a finding that there is no abuse, the fact that there was a DCF investigation, in general, is not fatal to a case. However, if DCF does make a finding of abuse or child endangerment, it can be trouble. A finding of abuse can seriously impact the offending parent’s chances of securing meaningful timesharing with the child. If someone wants to use a report documenting abuse in Court, you cannot just take their word for it. You must subpoena the reporting DCF officer for their appearance in Court. A DCF report by itself is considered hearsay. A party or attorney cannot simply hand the report to the Judge and expect the Judge to consider it as evidence. Therefore, it is of the utmost importance to issue subpoenas well before any upcoming trial or hearing. If a trial occurs and you have not subpoenaed the proper DCF witness, there is a very good chance that the DCF report will not be coming into evidence. Family law cases can be the most trying times in one’s life. Emotions run high and it is important that you have a calm steady voice to help. The Jacksonville Divorce attorneys at Harris Guidi have the experience and knowledge to help you through these tough times. Contact us today for a free no obligation divorce consultation. We are here to help. Family Law & Criminal Law Attorney at Harris Guidi Rosner, P.A. 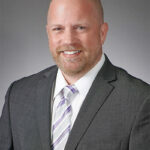 Chris has been a Family Law and Criminal Law attorney since 2001. He is an attorney with the Jacksonville Law Firm of Harris Guidi Rosner, P.A. A graduate of the University of Florida for his B.A. And Law degree, Chris is an avid Florida Gator fan, as well as Pearl Jam, Nascar and Golf.